Everything we do, and sense, happens through our brain. 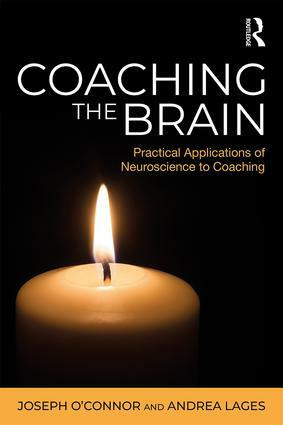 In Coaching the Brain: Practical Applications of Neuroscience to Coaching, highly experienced coaches Joseph O’Connor and Andrea Lages ask and answer the question: ‘How can we use our knowledge of the brain to help ourselves and others to learn, change, and develop?’. This book will show you how to apply insights from the latest neuroscience research in a practical way, in the fields of personal development, coaching and cognitive therapy. Accessible and practical, it begins with an overview of how the brain works along with an explanation of how our brain changes due to our actions and thoughts, illuminating how these habits can be changed through neuroplasticity. Understanding the neuroscience of goals and mental models helps us to work with and change them, and clarity about emotions and the emotional basis of values can help achieve happiness. Most importantly, neuroscience illuminates how we learn, as well as the power of expectations. The book also explores the key lessons we can take from neuroscience for high performance and leadership. Eminently accessible, this book gives you new tools to help yourself and others create better futures. As a whole, the book will provide you with a new respect for the depth and complexity of your thinking and emotions. Coaching the Brain: Practical Applications of Neuroscience to Coaching, with its clarity and practical application, will be essential reading for coaches in practice and in training, as well as leaders, coach supervisors and HR and L&D professionals, and will be a key text for academics and students of coaching and coaching psychology.